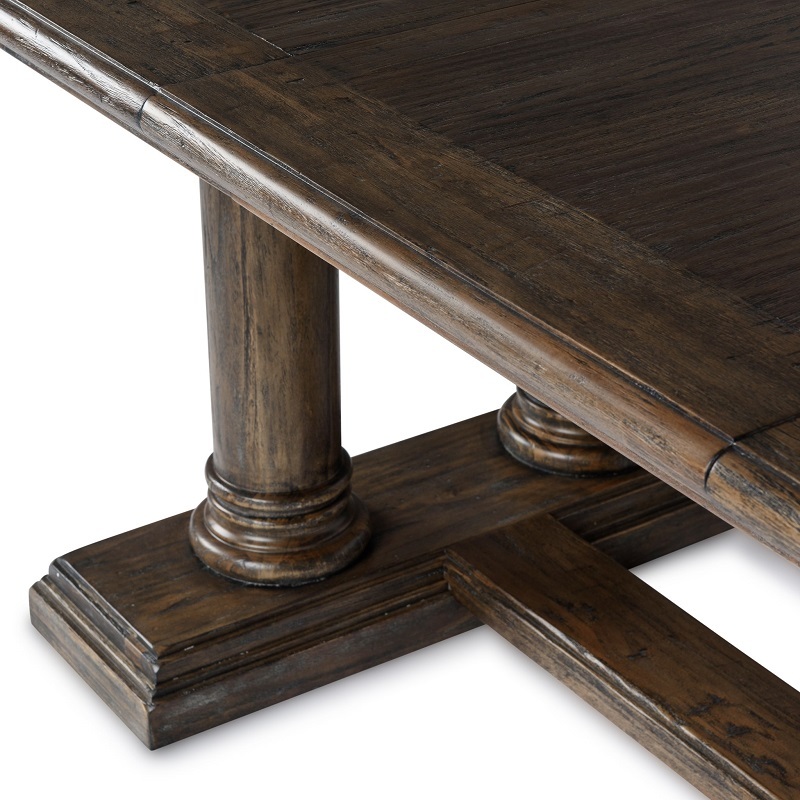 The Santa Maria extension dining table features rich warm tones of a rubbed dark walnut finish. This long trestle dining table with elegant column style legs has the feeling of an Old World antique. Each dark wood dining table is uniquely distressed to accentuate the wood and give it a very natural but elegant look. The two leaves allow you to expand and entertain large gatherings. This table reflects grand European style! Delivery is White Glove Delivery which includes assembly of table and removal of debris.